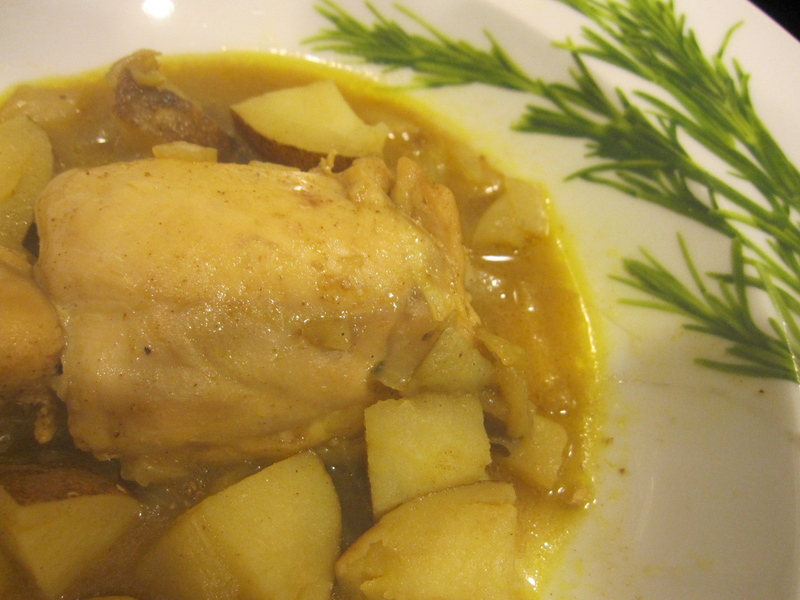 Moroccan-Inspired Lemon Chicken Tagine | Laura's "Rules"
My husband and I both like meat that is juicy and falling off the bone. But I can never seem to plan ahead by enough hours to get a slow-cooker bubbling on. I finally figured out that a Moroccan tagine was a great solution to us: it’s hat-like shape steams chicken or lamb into juicy, falling-apart goodness in fairly short order (under an hour or so), making dinner possible in a whole new way. 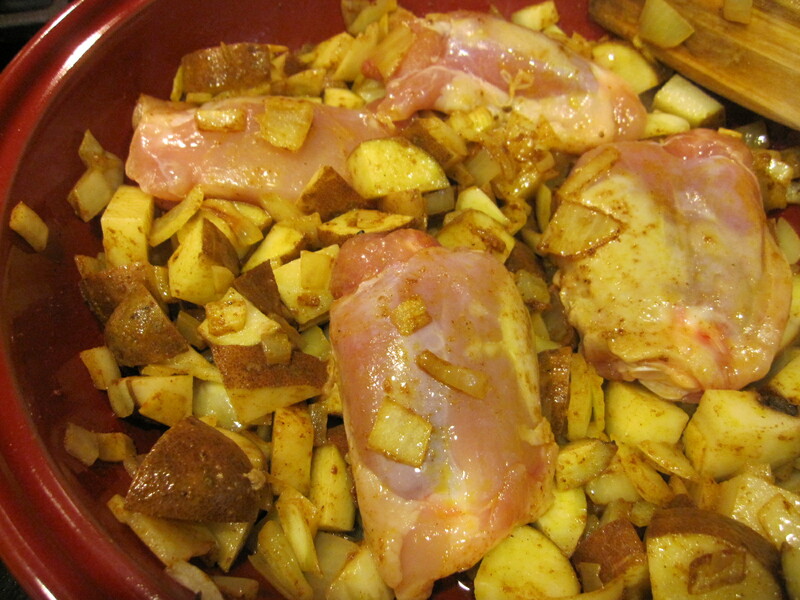 I made up this recipe, but the technique is a classic way to cook meat in a tagine. Basically, you saute the base (onions, garlic, vegetables) and spices, add and brown the meat, and then pour in stock or other liquid and cover. 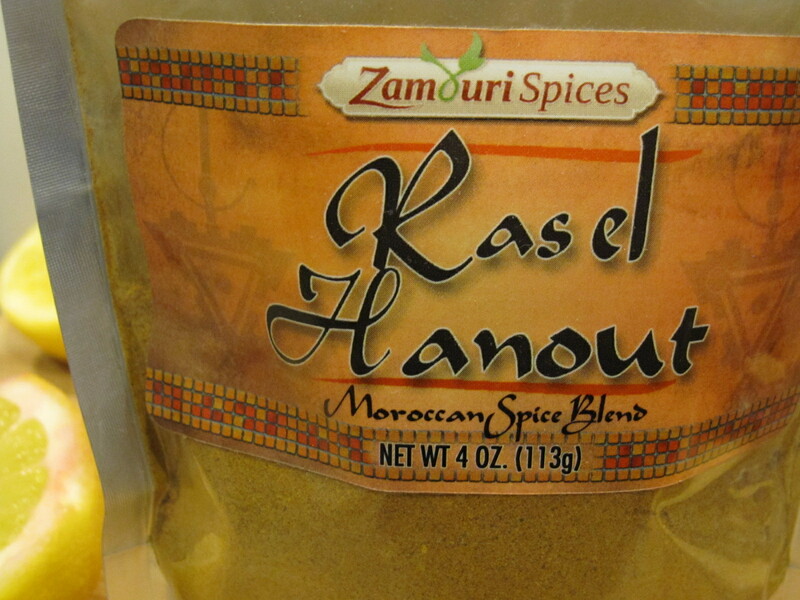 It’s truly easy to cook this way, and the signature Moroccan mixture of sweeter and more savory spices also adds depth and interest to otherwise ordinary ingredients. 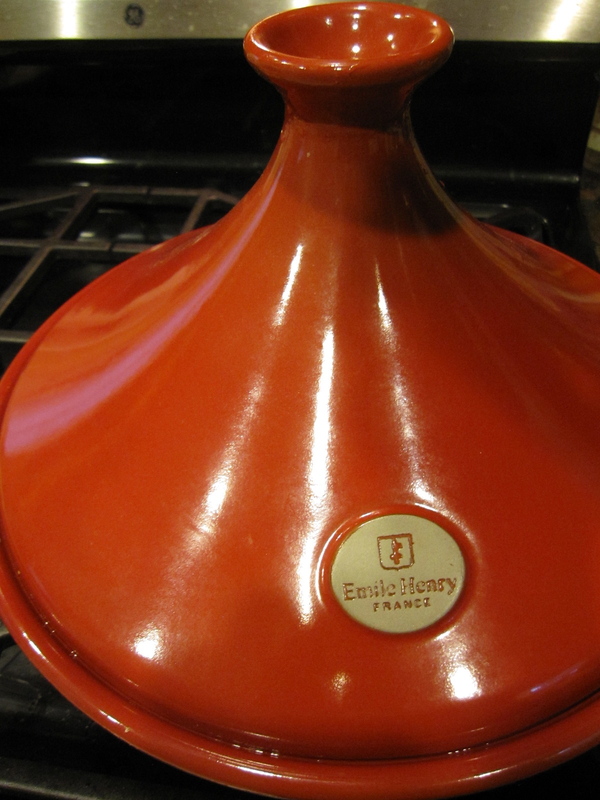 There are new enamel tagines, like ours from Emile Henry, that may be placed directly on the stove, so long as you bring the heat up slowly and don’t put it way up on high. (Older models, being ceramic, needed a heat shield for use on the stove.) Though it is kinda’ cool, the tagine is a fairly pricey investment for occasional meals. Much the same effect could likely be achieved in a heavy stock-pot or enameled Dutch oven, if that’s what you have on hand. 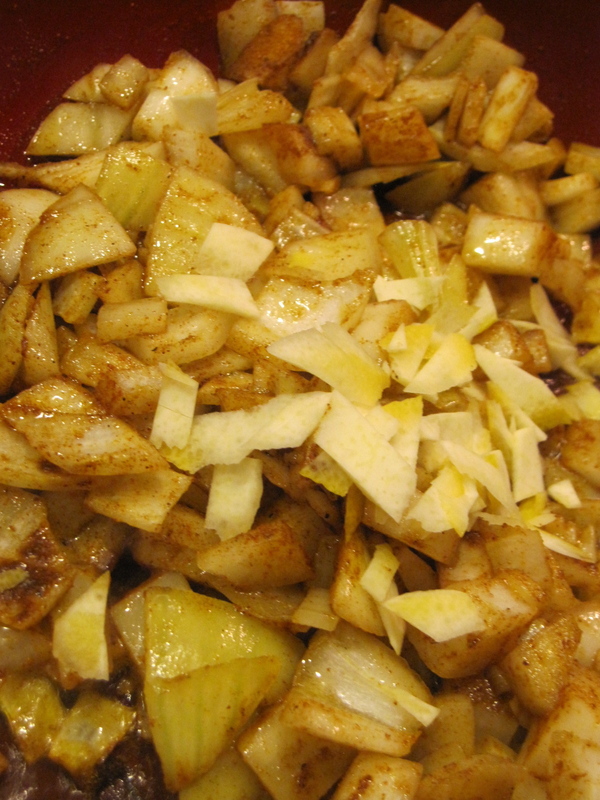 Over low heat, heat oil and stir in the spices, then the onions and garlic. 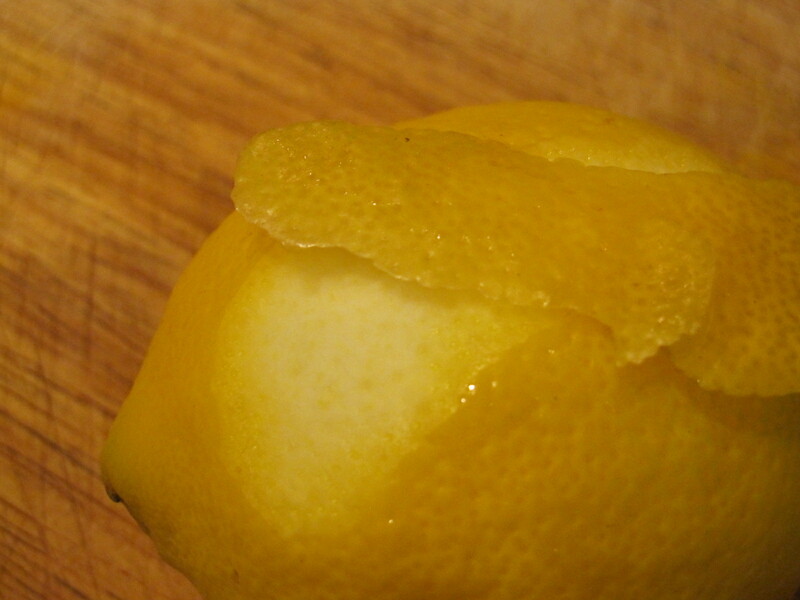 Add the lemon zest, potatoes and any vegetables you are using. 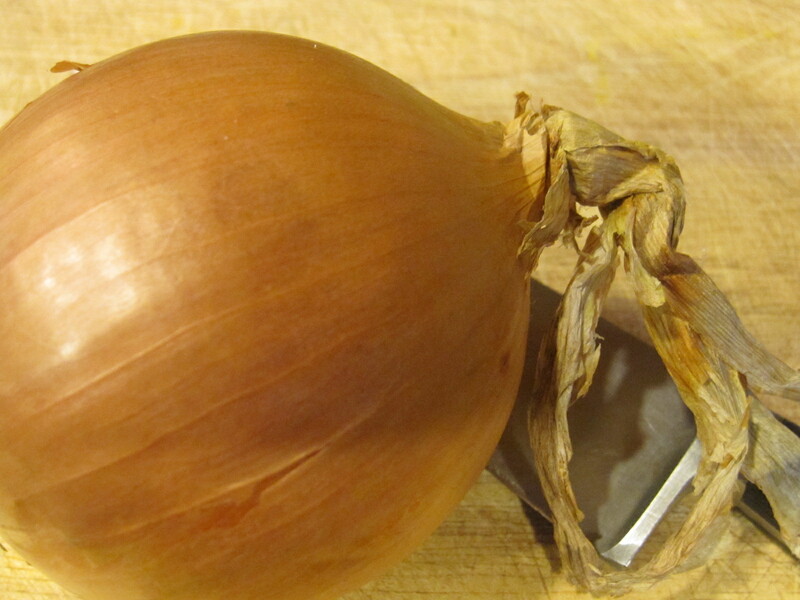 When things have sweated a bit and the onions are translucent, brown the chicken on all sides. 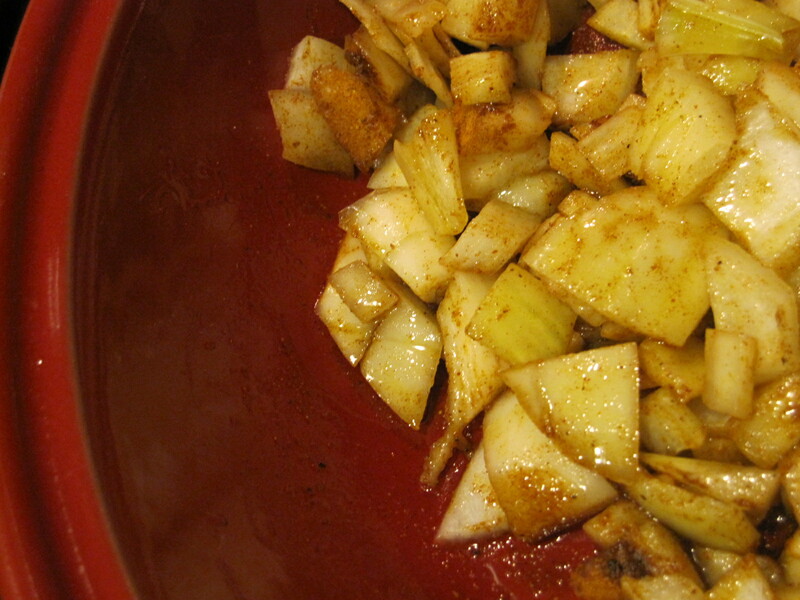 Add stock and cover, keeping the level below the edge of the tagine by 1/2 inch or so, to avoid boiling over. 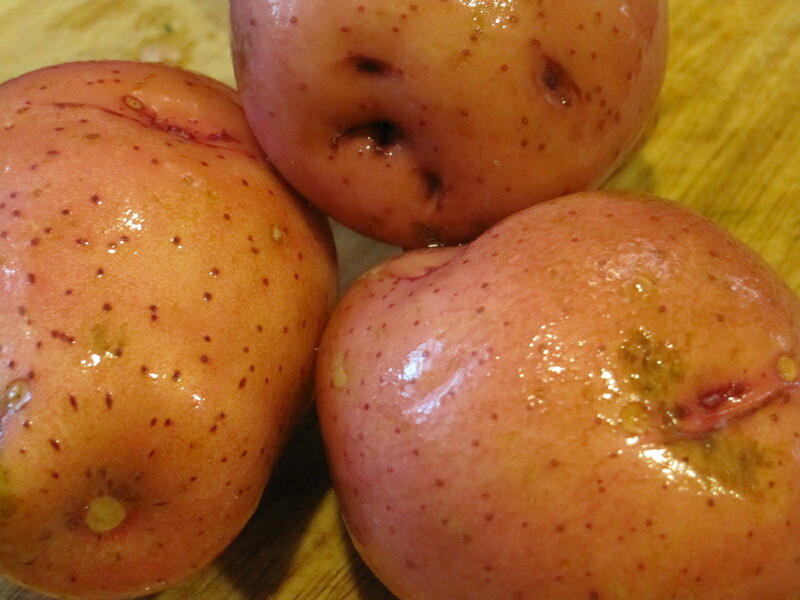 Cook over medium heat until at a boil, then lower heat to achieve a low boil for 40-45 minutes. Add fresh squeezed lemon juice and cilantro and enjoy! Serve over couscous if desired. 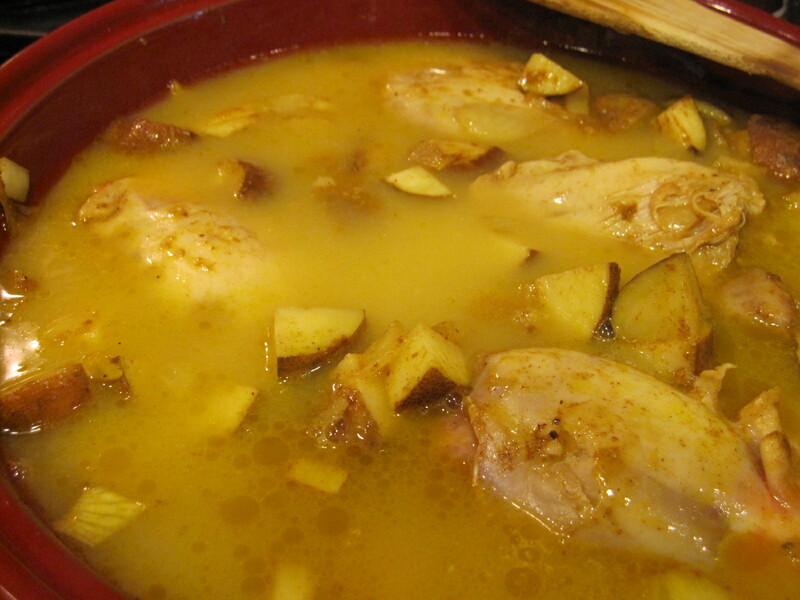 This entry was posted in Recipes & DIY and tagged chicken, cook, couscous, Dutch oven, Emile Henry, food, garlic, health, healthy, Lemon, Moroccan cuisine, Onion, organic, Ras el Hanout, recipes, Spice, stock, Stock (food), Tajine by Laura MacCleery. Bookmark the permalink. It was tasty, sure enough! And I think this tagine is a really piece of equipment — we love it and it got excellent reviews. Yes, I’ve heard great things. One will definitely find its way into my kitchen eventually.